The WinToFlash allows you to create a bootable drive on a USB stick drive. It is a good idea to have a boot disc especially if your PC or laptop still has a disc drive but it is also smart to have a boot USB drive and that is what the WinToFlash tool allows you to do. The WinToFlash interface is very simple because it is simply giving you the option of creating a boot drive with a USB stick. The interface consists of four options along the top and two tabs underneath that. You have to pick the Windows operating system you wish to create a bootable drive for and then follow the instructions to create a bootable drive with whichever USB stick is in your USB port at that time. The program pulls over the contents of your Windows installation disc from the disc to your USB drive. When your computer starts you are able to boot it up with your USB drive. The WinToFlash tool is very easy to use. Backing up your installation disc (boot disc) is a good idea on its own merit and backing it up on a USB drive is even smarter. The tool does exactly what is advertised and it does it in a quick and convenient manner. Understanding and learning the software is easy because there are very few options on the interface. You simply follow the instructions on the screen to complete the transfer. 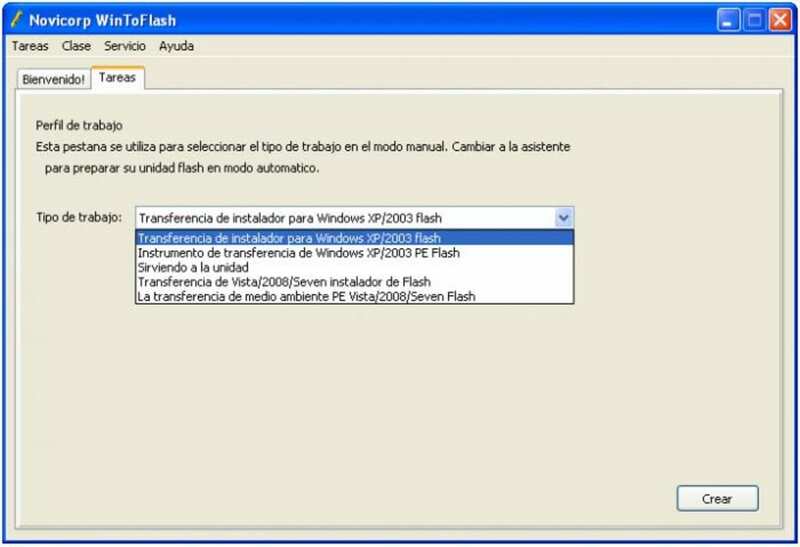 WinToFlash help you pull over the contents of a Windows installation disk and prep the USB drive to become a bootable replacement for the optical drive. This is about you can install your Windows from USB drive, HDD, etc. to your computer or netbook. And this is not all it can do. WinToFlash can transfer your live CD or DVD to USB card, for example, BartPE. After all you can erase your USB media and format it with Windows for everyday use. Its too old to use. It should work on the latest versions of windows, and should have more languages. Excellent USB Boot maker. Its a good software. I have made a Windows 7 Ultimate SP3 Bootable USB and a Windows XP Professional SP3 Bootable USB released on April 13. Its working perfectly. Makes the USB drive perfectly bootable. What do you think about WinToFlash? Do you recommend it? Why?